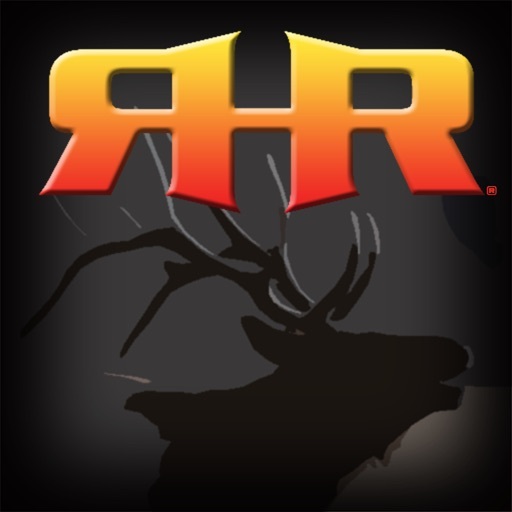 First released in 2011, the Elk Hunter's Strategy App was developed by professional and degreed wildlife biologist, elk behavior and communication expert, and accomplished elk hunter, Chris Roe, and incorporates decades of experience and education on elk biology, behavior, vocalizations, communication, hunting strategies, and set-ups, and puts that information right at your fingertips. 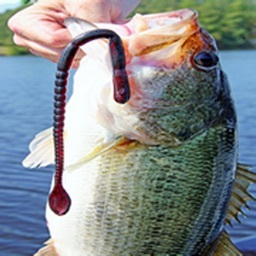 You can find yourself in literally HUNDREDS of different scenarios out in the field. 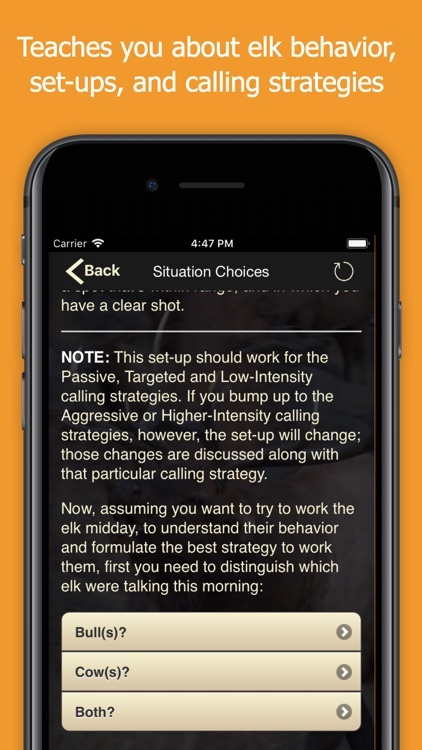 The Elk Hunter's Strategy App helps you hone in on the best strategy, setup, and vocalization(s) you should use in your particular scenario. 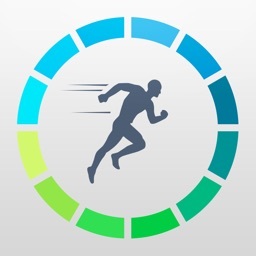 The beauty of the App, however, is that it goes beyond just telling you WHAT to do, it EDUCATES you. We teach you about the various bull and cow vocalizations: what they sound like, what they mean, and how to reproduce them. 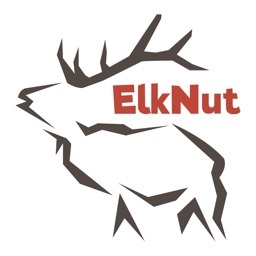 We also provide commentary on behavioral and seasonal considerations: why the bulls and/or cows are acting that way, in that particular situation, to help you better understand what is going on with the elk at that time. 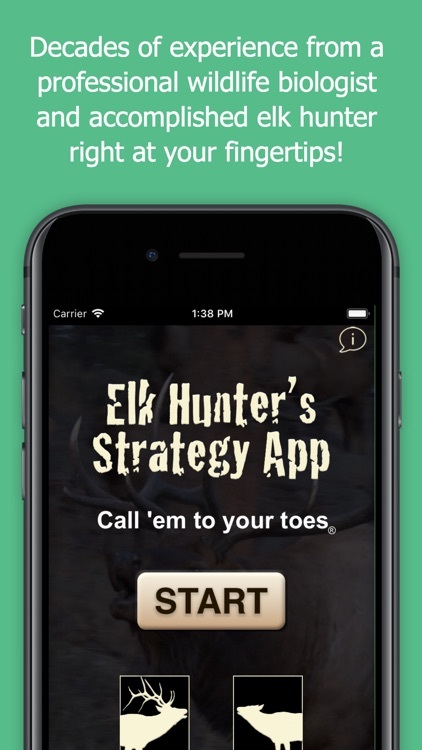 The Elk Hunter's Strategy App is as much about your long-term education in elk hunting and elk calling as it is a short-term reference to help you decide what to do in the moment. 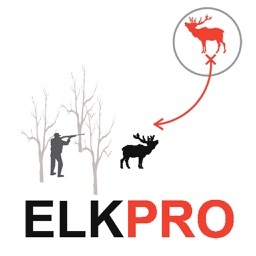 •	It helps you to understand elk behavior and communication to improve future hunts. 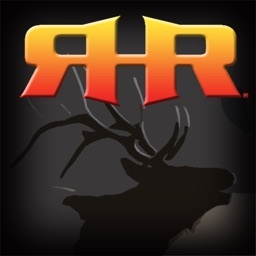 •	Includes a discussion of the behavioral considerations of each scenario, multiple strategies for each scenario (passive, targeted and aggressive strategies), suggestions on how you should set up, and a discussion of how and when to use cow and/or bull vocalizations in that particular scenario. 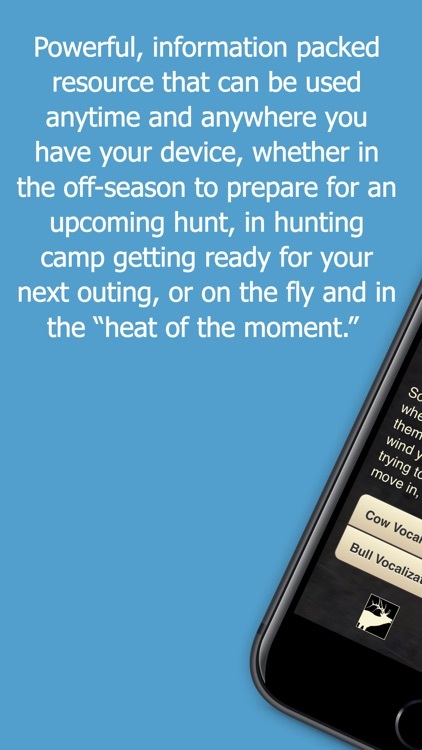 •	Includes a Glossary of all of the cow and bull vocalizations you’ll ever need. 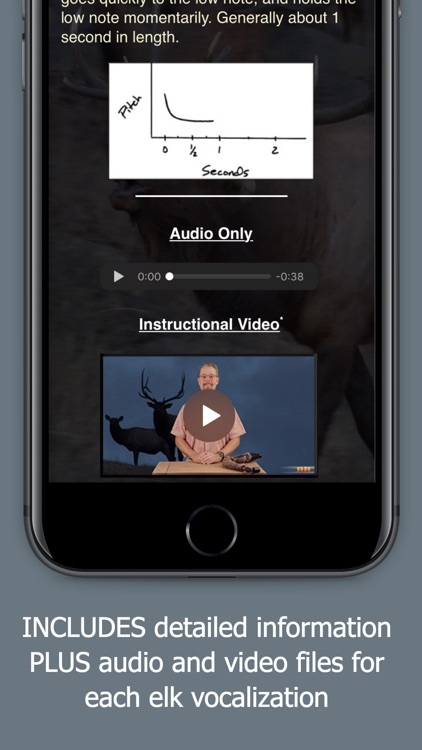 Through the Glossary, we teach you what each vocalization sounds like and how to reproduce it through the use of written descriptions, audio and video* files through which Chris discusses the vocalization and the best calls to use to reproduce it, and videos* showing actual elk making the vocalization.